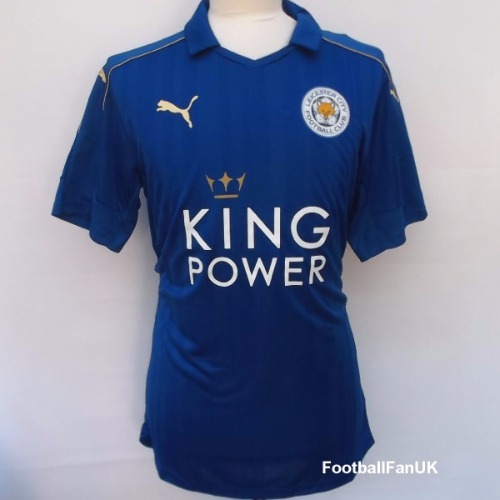 Official Puma home shirt for the then reigning Premier League Champions, Leicester City FC for the 2016-2017 season. New with tags in Puma packaging. We only sell official/authentic shirts from Puma, so you can purchase with complete confidence. - King Power sponsors logo. - Blue with gold trim. - Puma product code 897472-01. - Adult Small size. Chest 37/38", length 29".